Finding pet friendly lodging for your 4 legged children can be difficult. The good news is there is an abundance of pet friendly lodging in this part of Rockbridge County, VA.
Not only do you need to accommodate adults and possibly children but what special needs does your furry best friend have? Preparation is key to finding pet friendly vacation rentals and having a smooth running vacation with your pet! Do you need extra space to allow inclusion of a crate or kennel in the room? Pet Friendly Cottages, Cabins and a Caboose! 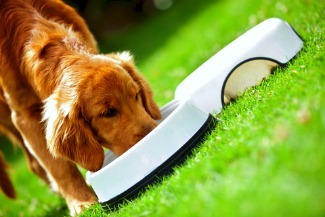 Bring your pet's own water bowl and food dish as well as their food and play toys. This helps your pet to feel comfortable in an area full of new scents and it also helps them feel more comfortable dealing with a routine that differs from home. MEDICATION - If your pet is on daily medication be sure to bring them with you. RABIES VACCINATION PROOF - Stick the rabies certificate in your suitcase just in case you have a need for it. 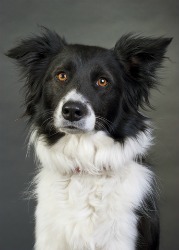 The Rabies tag should be on your dog's collar and worn at all times. LEASH - Retractable leashes are a No No as far as I am concerned. They give control to the wrong one. They allow the dog to control how far away from you he goes and they take the control away from you. Yeah, I know, you have the ability to put a stop on how far the dog goes.. and just how often do you do that? Take a regular 15 to 20 foot dog leash with you when you go on vacation and have it attached to your dog at all times. This is not the time for problems with the law or the time for your dog to inadvertently get into trouble. Your dog will be experiencing new, unexplored areas with strangers and even if you trust your dog it is not a good idea to have him unleashed. Most localities have leash laws that say the dog has to be under your CONTROL at all times. KEEP IN MIND... that if there is a problem with your dog, the Law allows law enforcers to take your dog and put him under quarantine and, under certain circumstances, put your dog DOWN. YOU DO NOT WANT TO GO THERE... so be safe and leash your dog! Plan for the times that your dog will be alone in the room. Taking your dog to every single place that you visit is usually not feasible and advance planning is important to minimize the stress your dog will feel. Being crated helps to prevent anxiety chewing and barking. If you think service people might enter the room to leave clean linens consider hanging a "Do Not Disturb" sign until you return. This helps the staff avoid getting frightened by a noisy dog and also keeps your dog calmer. Don't start crate training when you go on vacation! If your dog is not already used to a crate as his favorite place to be now is not the time to introduce it. If your dog is used to having dog treats, leave a nice big chew bone for him. Make sure it isn't something that will be messy or that he could choke on it while you are out. He will associate your leaving as a good thing versus a bad thing and both you and he will be happy when you return to your room. Leaving your dog in the bathroom, uncrated with the door shut,is not a good idea. He is not familiar with the space and might feel cornered and abandoned which can lead to pawing and scratching on the bathroom door. You do not want to come back to find a destroyed bathroom door. If you must leave your dog uncrated in the room throw a towel from home that has your scent on it onto the bed. This might help him to feel secure since it will have the scents of home on it. There are many, many choices for pet friendly lodging in the Natural Bridge VA and surrounding areas of Lexington, Buena Vista and Rockbridge Baths. You can start your decision making by reviewing the areas to see if you have a preference to location. Whether you call to make reservations or you make reservations on line there are a few questions that are important to ask first. Confirm that they do still allow pets. Is there a weight limit or size limit, if so, what is it? Is there a pet fee? Some lodgings charge a fee per dog, per night. If you are traveling with more than one pet that can really add up! Other facilities only charge a one time fee, not per night. Important! Many lodgings are starting to charge you a hefty fee if they find out you had a dog there and did not declare it and pay their regular pet fee. It may be a pet friendly lodging but one motel chain charges $50 per night, per dog if they find out you have a dog there and did not declare it. That can be expensive so don't even go there! Don't be afraid to negotiate the pet fee! I was told there was a $10 pet fee per dog at one of the pet friendly hotel chains. I had 2 Chihuahuas with me and, together, they did not weigh 5 pounds and I was staying a week. The lady at the check in desk let me just pay 1 fee. TIP.. It is sometimes easier to negotiate a lower fee when you are face to face with the check in person. I reassured her that my dogs were crated in the room and would not make any kind of mess. I guaranteed it!